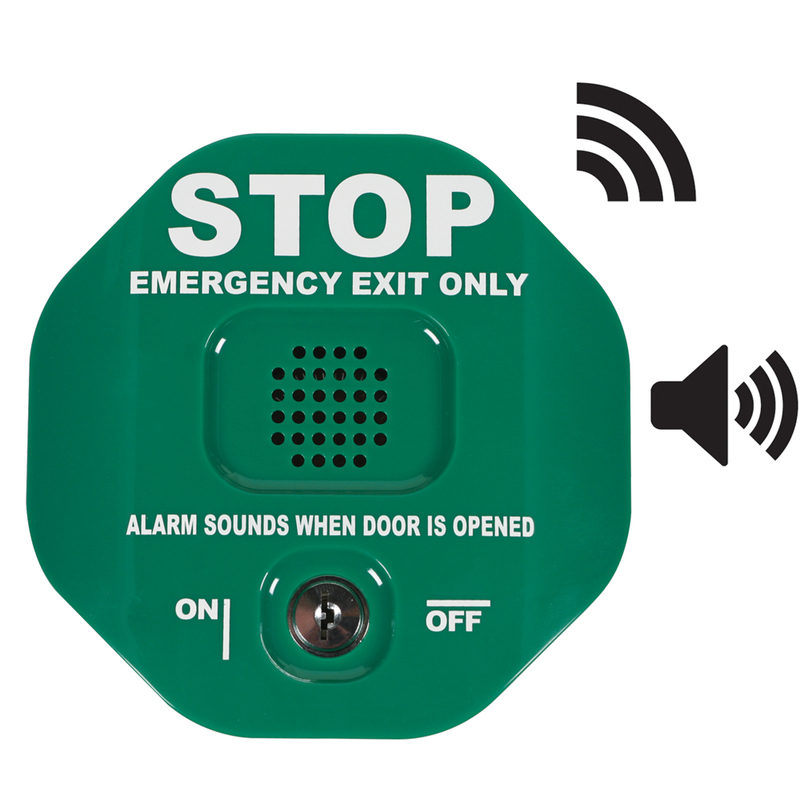 Designed to work with STI Wireless Receivers, the STI-6400WIR wireless alarm alerts you to any unauthorized exits/entries through emergency exit doors and rear doors. The device serves as an inexpensive security device and helps stop theft as well. The STI-6400WIR also provides the option to operate in annunciator mode. In this mode it announces a doors opening with a set of 10 beeps and then resets. Exit Stopper is fitted with a long life 9-VDC alkaline battery. Up to 1000' (line of sight) range.